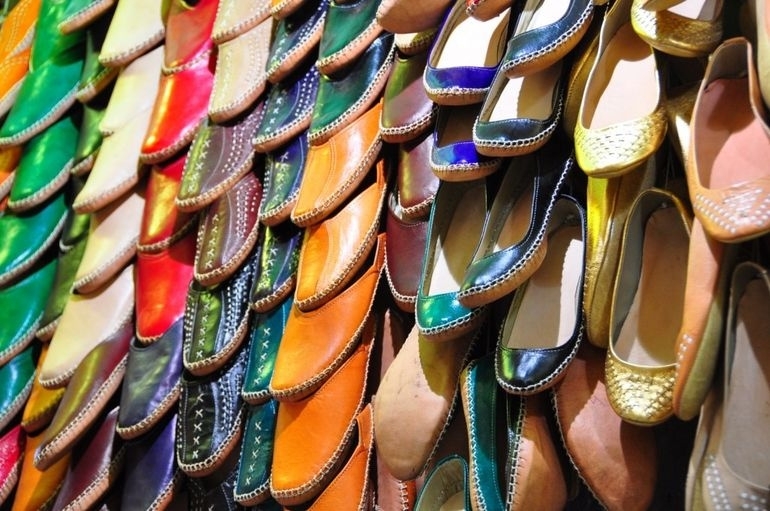 What to find at Khan Al-Khalili bazaar? 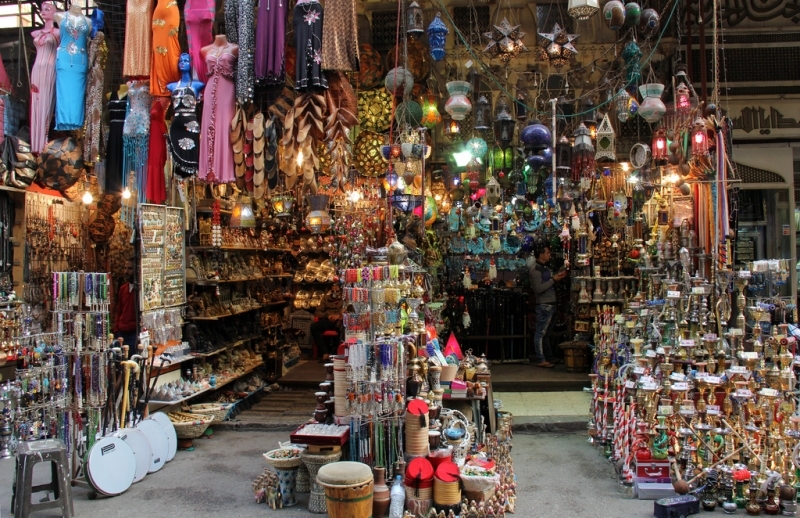 No trip to Cairo would be complete without a visit to Khan Al-Khalili. 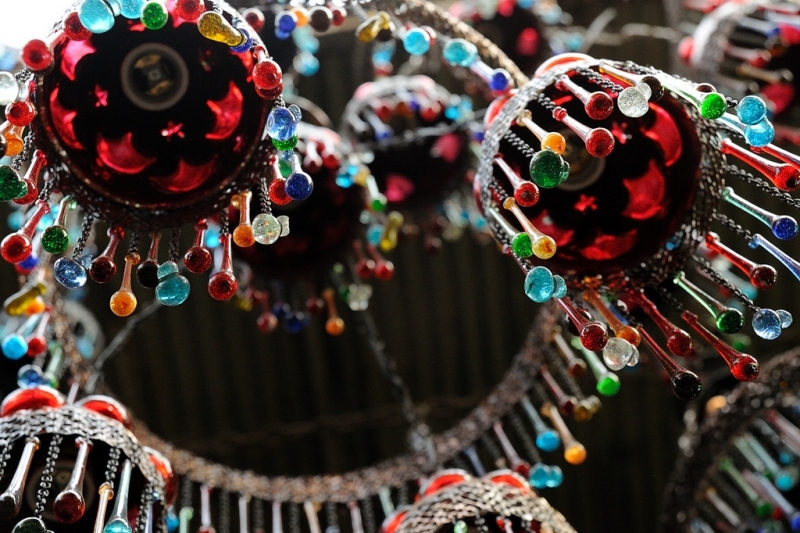 The bazaar is loud, crowded, colorful, and exciting—full of all kinds of goods and shiny baubles. 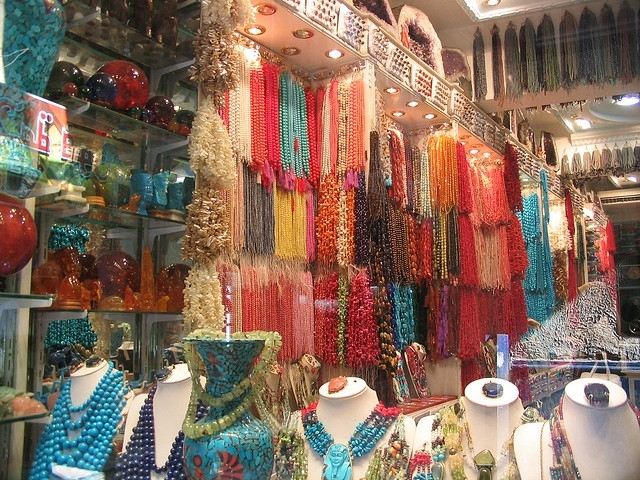 You can find the typical tourist trinkets here, but don’t let them distract you from the genuinely fine shopping to be found here. 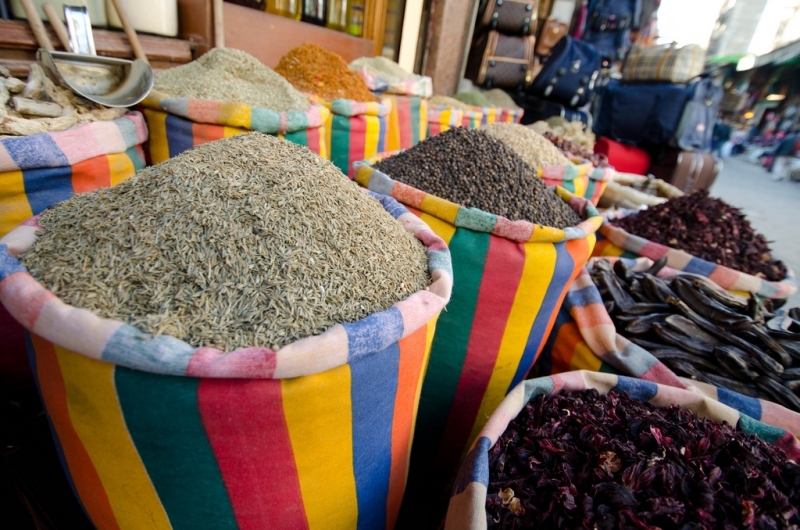 There is a spice market where you can buy fresh spices of any variety. The perfume market is awash with countless mixing scents of essential oils. 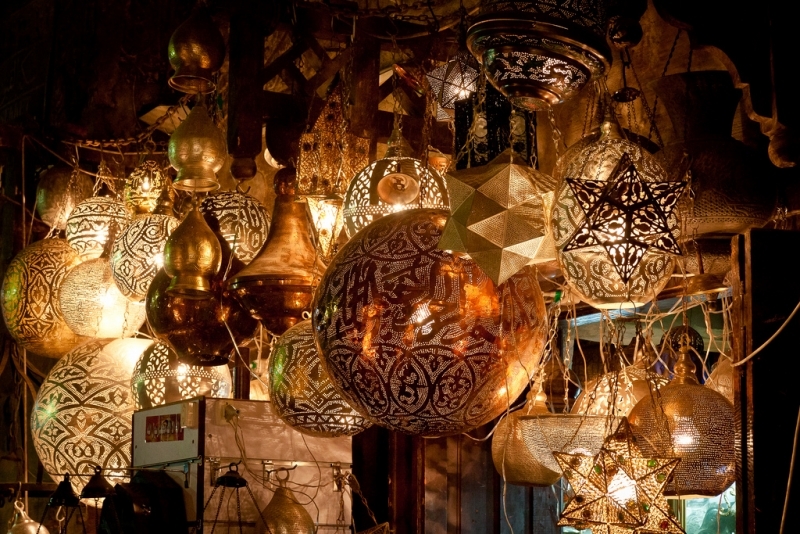 Deeper into the market there are gold vendors and antique shops full of interesting pieces. 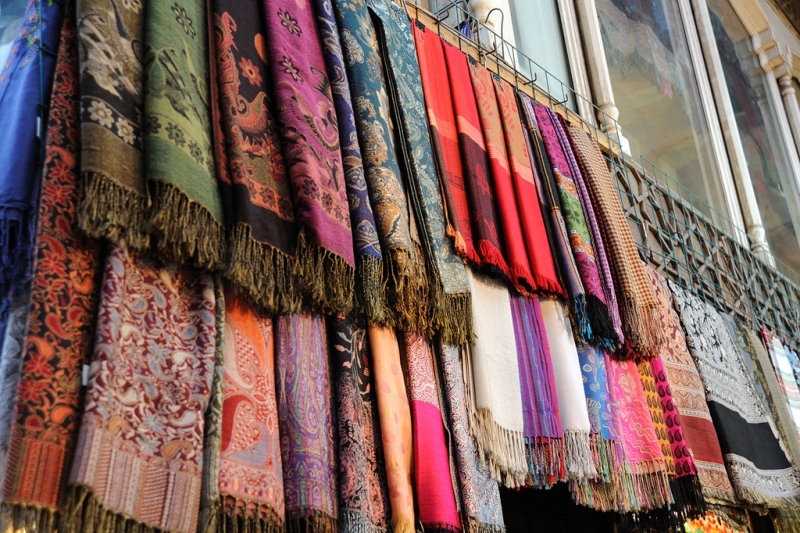 There are fabric shops and carpet vendors and sellers of just about anything you might desire. 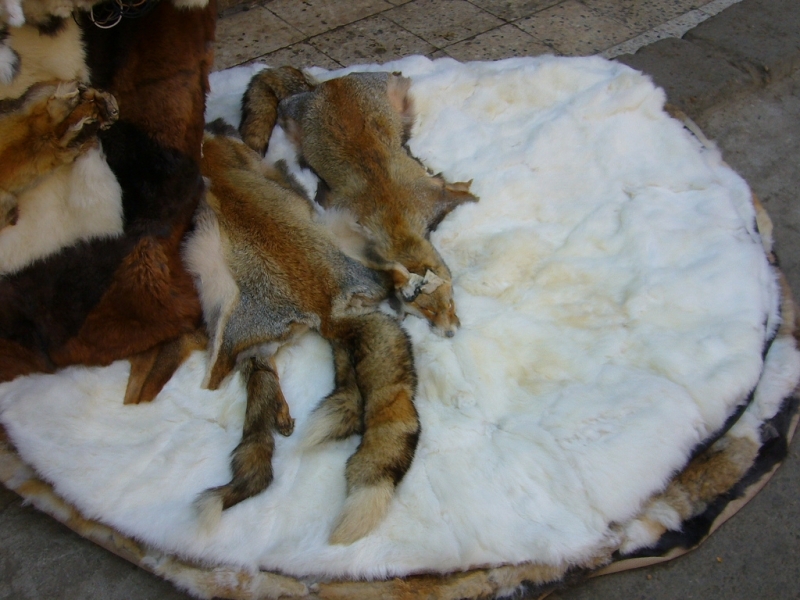 If you cannot find what you are looking for, do not hesitate to ask a vendor because there is a good chance they will know where to find it. 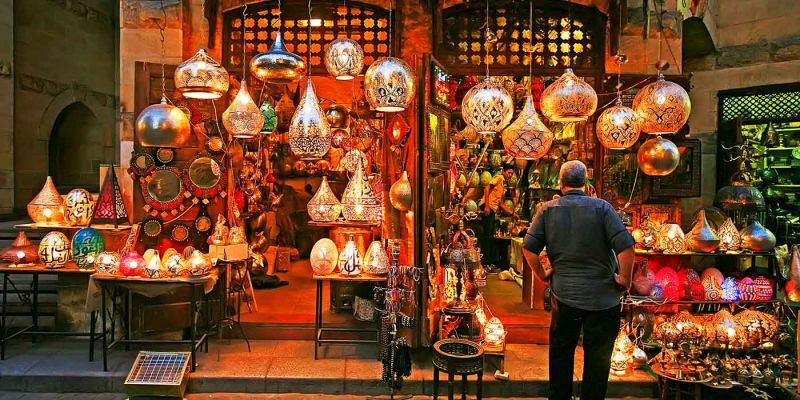 Even if you are not looking to buy, taking a walk through the winding alleys of this labyrinthine district, you are sure to find something that will catch your eye. 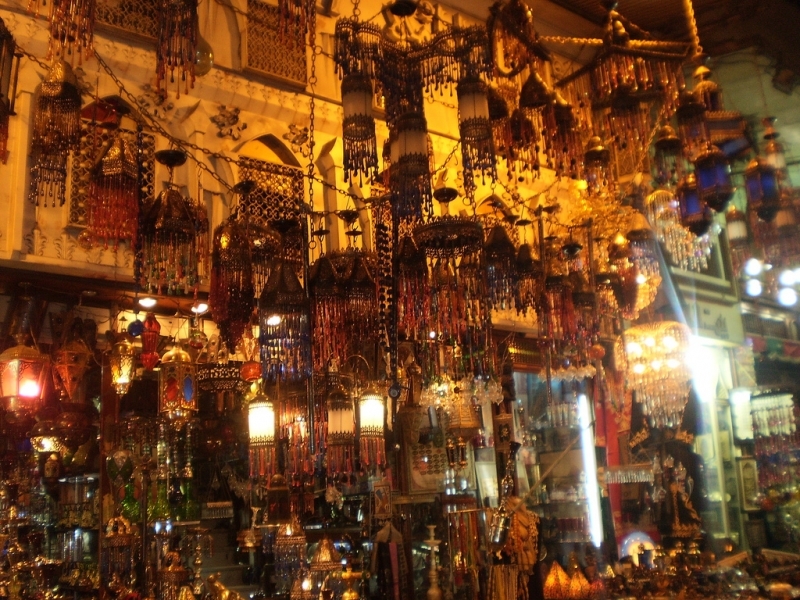 When was Khan Al-Khalili bazaar built, and who built it? 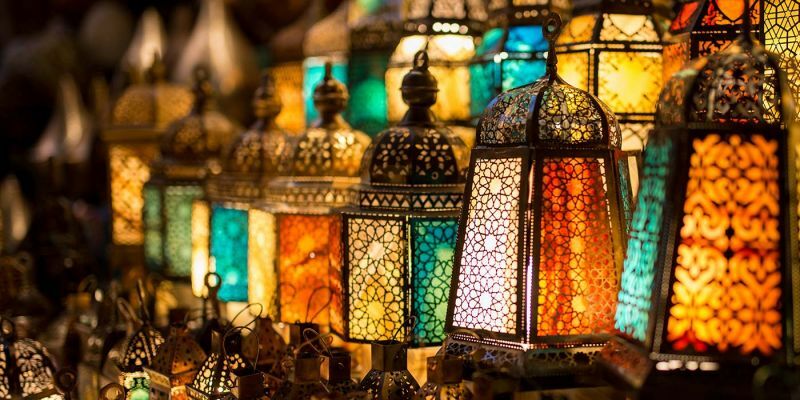 The market dates back to the 14th century when Emir Dajaharks Al-Khalili built a large market complex on the site of the Za’afran Tomb, which had been the burial place of the Fatimid rulers of Egypt. 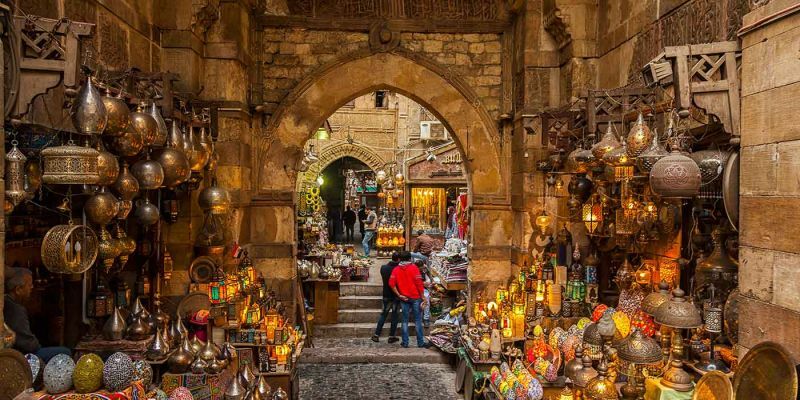 This construction was part of the process of rebuilding started under Sultan Barquq (ruled 1382-1399) to help the city recover from the ravages of the Black Death throughout the 13th and 14th centuries. 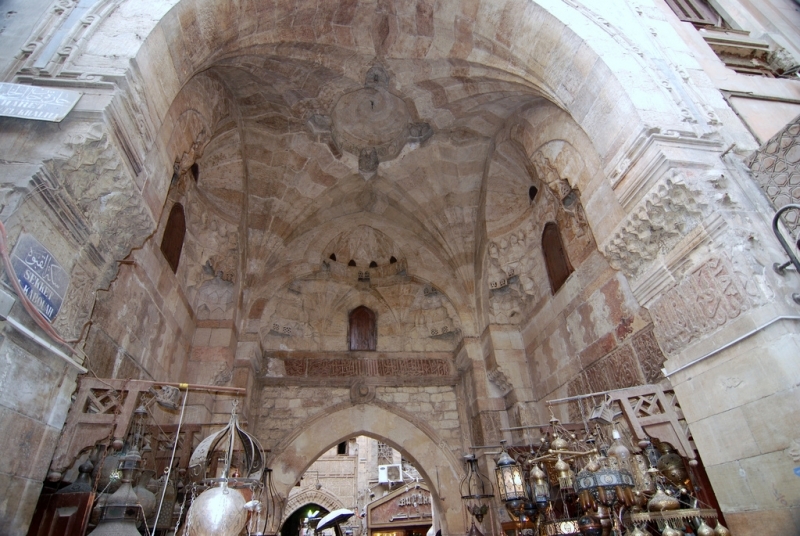 Today the market has been modernized significantly, but there are still portions that display the original Mamluk style architecture, which featured great archways and vaulted ceilings. The market has several restaurants and cafés spread throughout where you can take a break from shopping. 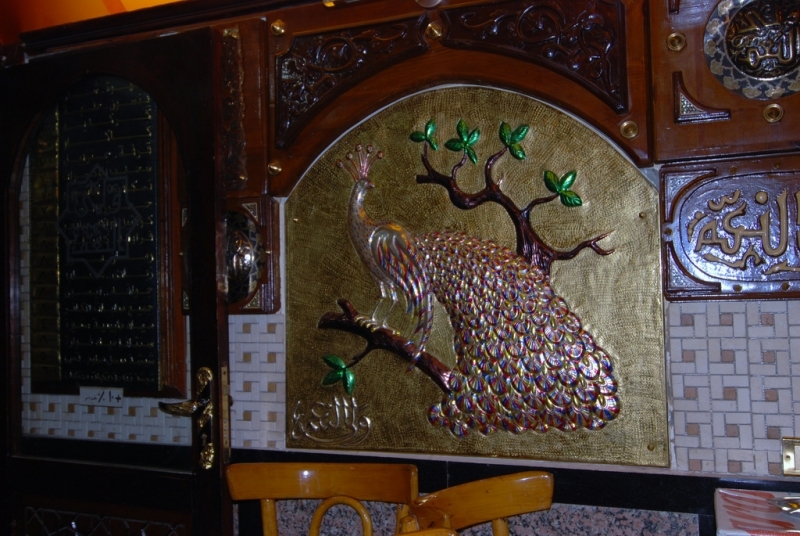 Al Fishawy is the oldest café in Cairo, decorated with large mirrors and old furniture. 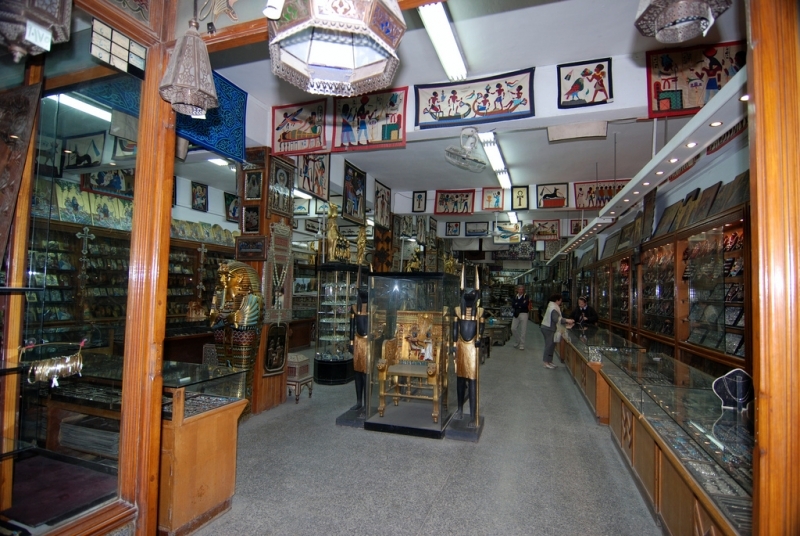 It used to be frequented by Naguib Mahfouz, the Egyptian Nobel laureate author. There is also an upscale restaurant in the market that bears his name. 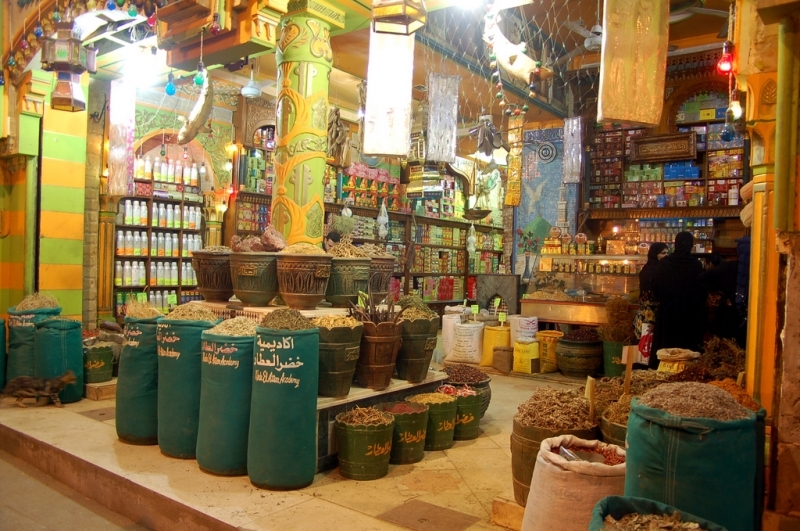 The market is next to Hussein Square, the garden in front of Hussein Mosque. This square also offers many cafes and cheaper restaurants.